Lightering is the process where ships load barges at anchorage to lighten their load and reduce their draft, enabling them to enter the Bay with more cargo and still access ports that may be draft restricted. 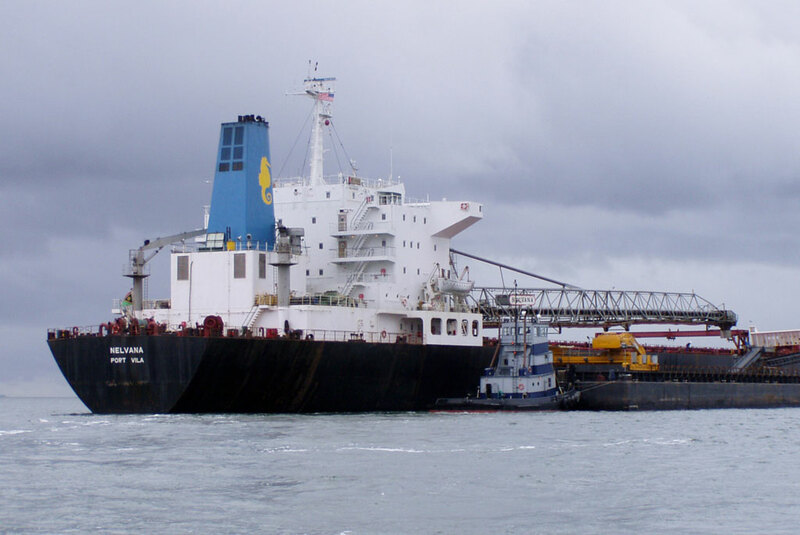 Lightering also enables water-borne cargo to be delivered to shallow draft ports and offload facilities via barge. 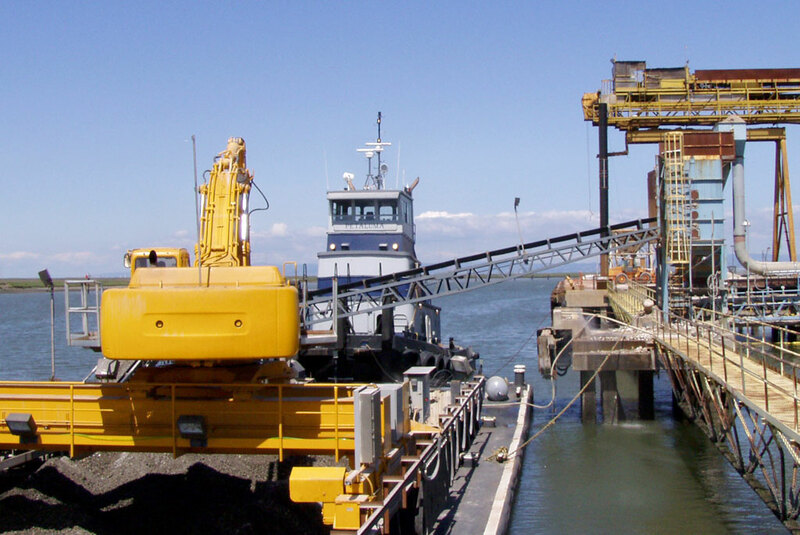 Lind Marine is highly experienced with bulk lightering operations in the San Francisco Bay and Delta, including: sand, gravel and gypsum. We deliver materials to various locations, including Redwood City, Oakland and Petaluma. 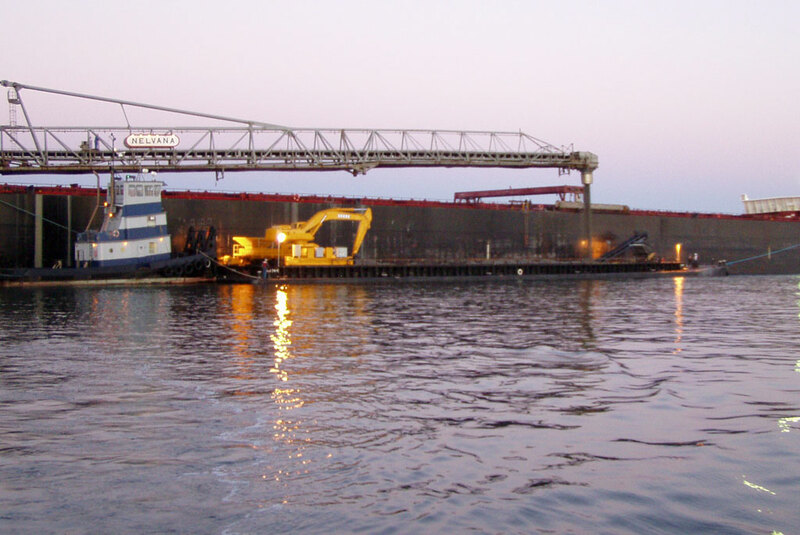 Lind Marine’s fleet includes the barge Peter Lind, the largest bulk materials barge on the West Coast. 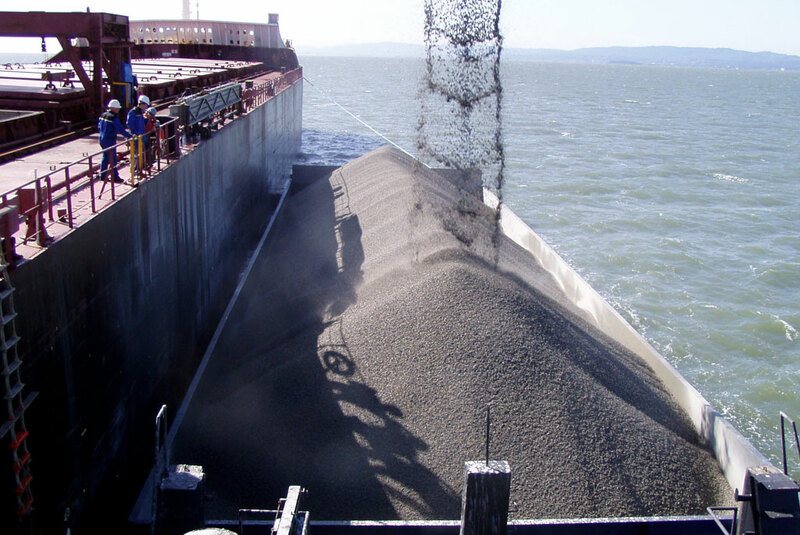 The Peter Lind lighters aggregate from Panamax-class ships coming into the Bay from Canada, and delivers the product to our client, CEMEX in San Francisco. The Peter Lind provides the aggregates to supply a busy concrete ready mix plant, and acts as floating storage for these materials between shiploads. 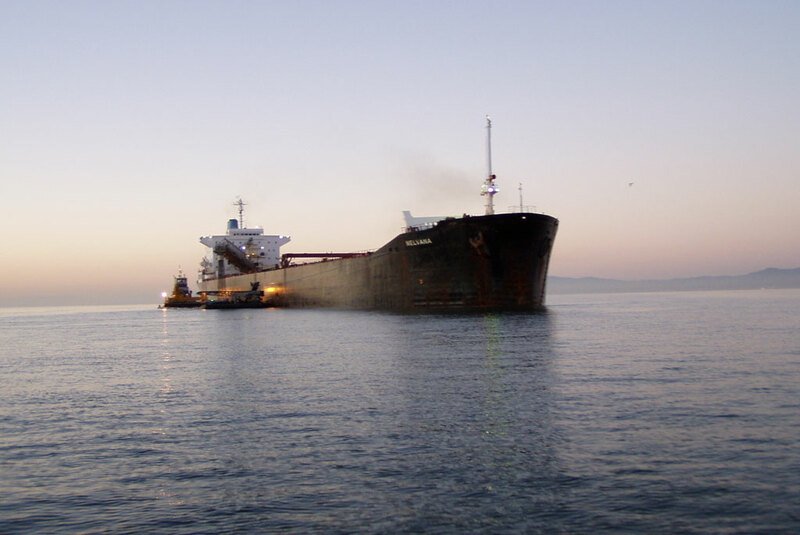 Lind Marine regularly provides 45,000 tons of aggregate lightering for CEMEX in the San Francisco Bay. 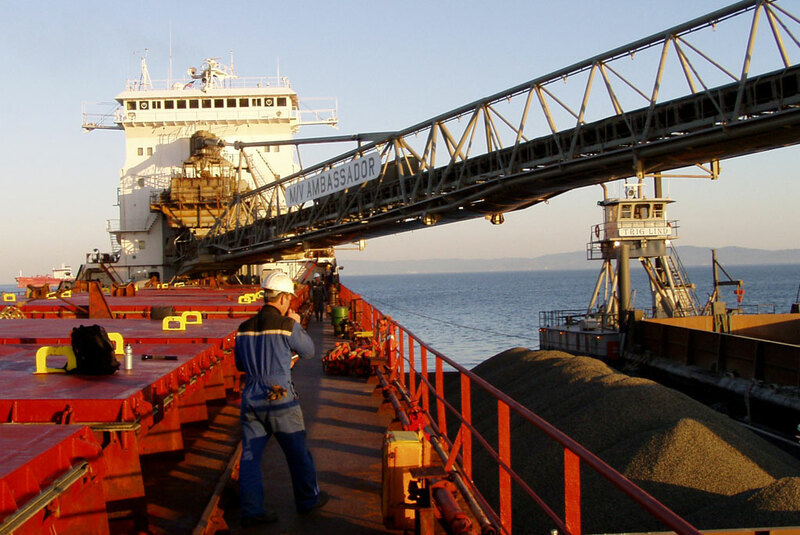 Our barges pick up cement mix materials from CEMEX ships at an anchorage in the bay, and then deliver those materials to Redwood City.